Tonight on the show William Barr thinks the Trump campaign was spied on, Herman Cain’s nomination to the Fed is in jeopardy and Georgia Representative Lucy McBath signed for package at her home in Tennessee. Tonight on the show Governor Kemp gives his reaction to this years legislative accomplishments, Episcopalians are mad people are noticing they aren’t Christian, will child separation on the border come back and the DHS shakeup continues. Tonight on the show Stacey Abrams continues to lie about her election loss, Hollywood really doesn’t want you watching the movie Unplanned and the leaks coming out of the Mueller report. Tonight on the show Stacey Abrams is delusional, the Georgia legislature wraps up its session, the fetal heartbeat bill draws a Hollywood boycott plus Twitter and Facebook want the government to regulate them. #EERS S8 Ep55: Who’s the Boss? #EERS S8 Ep51: Moe’s and Auntie Anne for Abortions? #EERS S8 Ep50: A Biden-Abrams Ticket? Tonight on the show Georgia’s fetal heartbeat bill inches close, could Biden really choose Stacey Abrams to be his VP and the fallout from President Trump going after John McCain again. 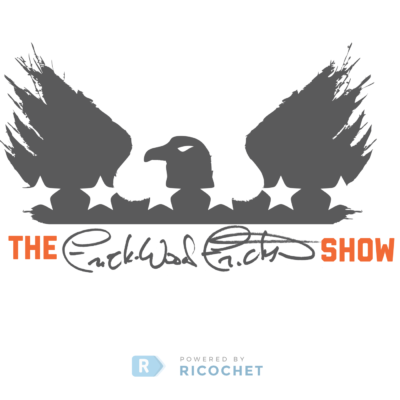 Tonight on the show the media predictably blames Trump for the terrorist attack in New Zealand, students walk out of class for the climate change hoax, Robert O’Rourke finds out the media love-fest is over and some senators are catching heat for their votes condemning the Presidents emergency declaration.